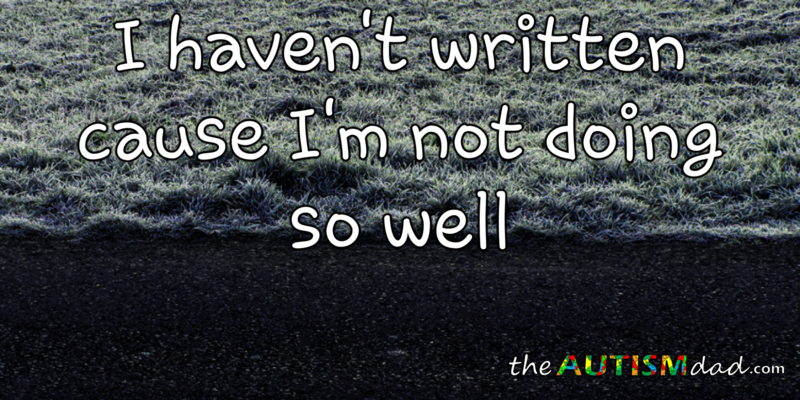 I’ve been a voice in the Autism community for almost a decade. People have gravitated to me because I say what they’re thinking without them having to say it. I don’t judge those with differing opinions and I never force my views on anyone else. I love taking the pulse of the community by publishing polls designed to help people get a better understanding of what others in the community are experiencing. Someone had responded to one of my many polls by telling me that it was an awful question for me to ask. 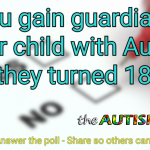 That awful question that was asked was Do you ever miss your life before Autism? Why shame me for asking it or others for answering it? Feel free to answer the poll below. 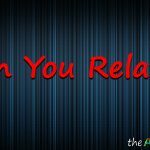 The question is simple and I would imagine that if we all did some soul searching, we would be able to recall moments where we were so overwhelmed that we missed when things were simpler. Maybe that doesn’t apply to everyone and I can accept that. 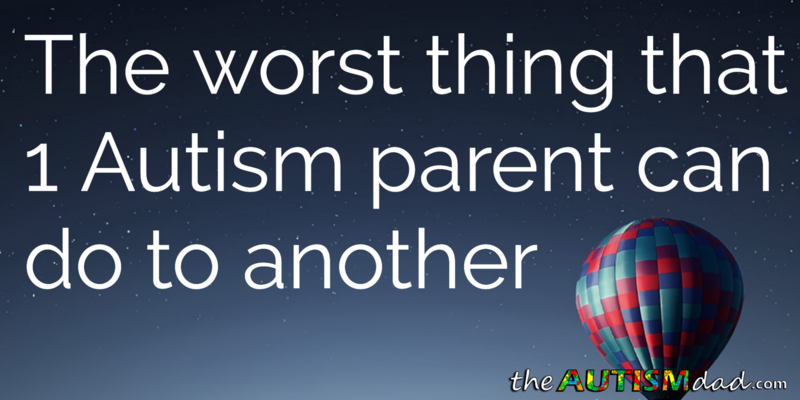 Autism can and will impact different families in very different ways. Autism is a profoundly dynamic condition which means that while two people may share the same diagnosis, they can be impacted in very different ways. There’s almost always some overlap but people with Autism are just as unique as their neurotypical peers. 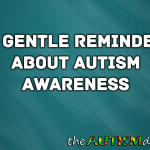 After that little lesson in Autism 101, we can take what we just learned and practically apply it to our everyday lives. 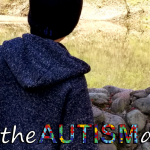 It stands to reason that if each person with Autism can be impacted in profoundly different ways, the challenges that each family faces can be different as well. After almost a decade of dealing with the public, one of the most frustrating things I still come across is judgment within the Autism community itself. I don’t see the person’s actual response so I don’t know their exact wording, but I’m curious why you find it so offensive? I get that it feels judgmental but weren’t you asking for opinions and wasn’t that her opinion? To me it sounds like that person is afraid to feel okay with missing the ‘before’ because it probably feels disloyal to her kids. 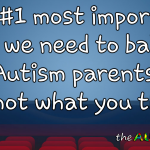 That said, I know of very few parents (not just autism parents) who don’t occasionally miss the before. Doesn’t mean they don’t love their kids, just means that being a parent is stressful sometimes. Kim, I didn’t find it personally offensive. I was hoping to make her public comment to a question that many of us struggle with in real life, a teaching moment. 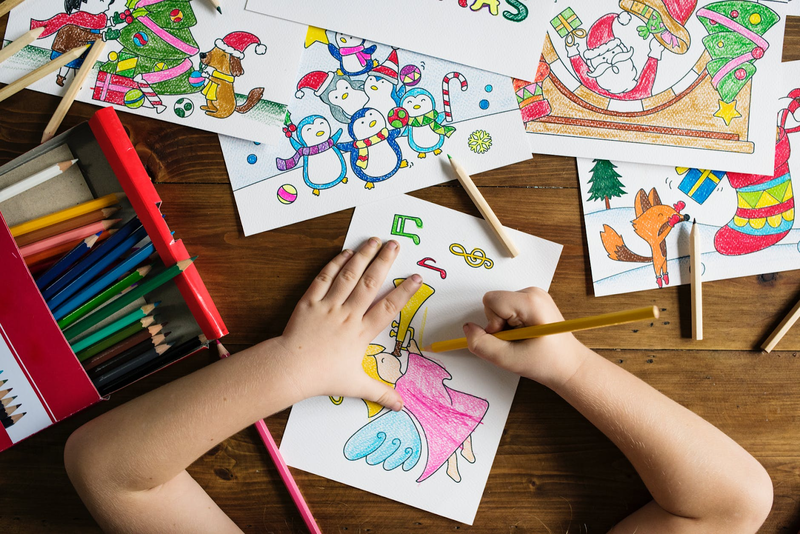 I’ve spoken with countless parents from across the globe and while our lives are all different, many of us still carry around guilt for feeling the way we do sometimes. 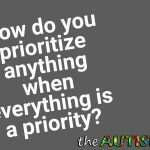 No one should feel guilty about missing their life before being an Autism parent, or any parent for that matter. Kids are tough, especially kids with Autism or other potential disabilities. Missing an easier life doesn’t mean we don’t love our kids. It simply means we’re human. Did you mean do or don’t? Secondly, this was social media comment and it was made about me actually having asked an awful question. It wasn’t an answer to the question itself. She could have simply answered the poll and said no. Instead she went after me personally for asking the question in the first place. I don’t care what she said in regards to me but I dislike the message such a comments sends to other people. She’s aloud to feel the way she does but she needs to allow others to feel the way they do without judging them. That was the point. This is just endemic of a problem still present in the Autism community. We still judge each other because we make assumptions about what other people’s experiences are based solely on our own experiences and not accounting for the fact that theirs is different. That was the point of the post itself. I wanted to remind people, who should already know but seem to have forgotten, that every situation is unique. This is a totally valid question. As you say it doesn’t mean you don’t love your kids. I have 1 with ASD and 1 without. The high level of supervision required for my ASD son has massively restricted my life and career and to be honest I resent this. 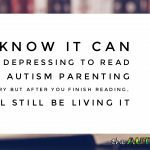 Parenting is hard but they do grow up and get more independent ( if they are NT) – this is not a future I see for my ASD son. At the moment I can’t work and he can’t go to school because of violent outbursts. The endless appointments and making arrangements to accommodate his difficult behaviour are wearing. So yes I do really miss life before autism. I miss feeling genuinely relaxed. Mark I feel your pain. 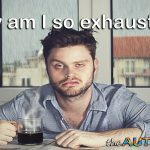 I am an autism teacher and everyday I see parents coming to pick up kids, looking totally worn out. I understand I may not be able to help but as a teacher I can make their day better by keeping their child for 6 or more hours while they can get some peace and quiet to rejuvenate. Join me at instagram @onspectrum so we can share ideas. Well said and thank you for sharing. 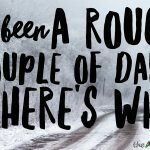 The whole point of the question was for us to acknowledge that we can sometimes miss life when it was easier and it doesn’t mean we love our kids any less or we would change a thing. So many people feel this way and are consumed with guilt as a result. If people see that they aren’t the only ones that sometimes feel this way, maybe they will be more forgiving of themselves. I don’t think there is a parent alive who would not say that they don’t miss things like quiet, disposable income, romantic weekends away, going out for dinner and a movie at the drop of a hat…….etc etc etc…… if anyone said that I would say they are a massive liar…. In saying that though I don’t think there are many parents who would want that life back without their kids. Kids grow up, life gets easier….experiencing things with kids in tow is next level awesome. I don’t think these feelings are in anyway mutually exclusive. This is interesting. I was the one who said I sometimes missed my life before parenting. I miss freedom sometimes but I prefer my life now even though it’s more complicated. Autism doesn’t really factor in to the equation. I think parenting in general is just difficult, but that is not to say it is bad. 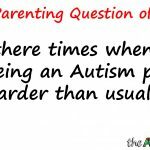 If I am specifically speaking about my autistic child, I think I am a ten times better human being because of him being the way he is. I have learned to advocate because of him, learned how far I can push myself and what I am capable of. I am infinitely more successful because he is in my life. If he didn’t have such high support needs I would have just kept bumbling through life. I wouldn’t have even gone to university. He shows me how to be brave and persevere.